Hayu Canada is HERE! | ya, we're basic. It’s no secret that I’ve been addicted to the hayu Canada app since it launched a few weeks ago. So, because I spent the better part of last week being sick and definitely got to know the app, let’s dive right in to what I’ve been watching, which of the 200+ shows I’m getting ready for next, and why hayu Canada will easily be the best $5.99 CAD I spend each month for my subscription. This past weekend I was literally ‘Katching’ Up with KUWTK because I was so behind this season. I got all caught up and still had more time so I decided to enjoy a few classic favourites from the past because YES…hayu Canada has every season…from the beginning. Remember when Kim lost her diamond earring in Bora Bora? Or when Khloe and Lamar got married? And Rob Kardashian in general? REMEMBER THE KARDASHIAN-JENNER’S ORIGINAL FACES?! Prepare to be transformed back in time, people. Now I already know a lot of you downloaded the app – which you can do here (and get one month free!) – because you are die-hard Housewives fans. Before now we couldn’t easily get lost in all of the seasons and cities and drama in one place – but now we can, friends. NOW WE CAN. I got really in to old RHONJ episodes when I found out that Dolores Catania was going to be at the hayu Canada launch event. It was truly an honour to hear her speak about her experience with the Real Housewives of New Jersey franchise, her real relationships with the other women on the show and what Andy Cohen is really like. I will have a fun podcast episode with Dolores coming up in the next couple weeks too, so stay tuned! With all of the recent stories about some of the stars of the RHONJ, many of you are getting ready for the new season, too. Well, at the hayu Canada launch, Dolores told us to catch up on old seasons because this one is majorly tied to the past, and when the new season launches in a couple months, the episodes will be available on the hayu Canada app the day-after they air on TV. #RichKidsofBeverlyHills – Hello Morgan Stewart. ILY. Made in Chelsea – Truly the reality show that WE ALL NEED TO SEE. The Rachel Zoe Project – BANANAS! Classic. I seriously feel like I’m doing you all a favour by bringing this to your attention, if you haven’t yet discovered it for yourself. Nothing would bring me greater joy than having one of you DM me about a show (or this app) to tell me about how much you’re enjoying it. 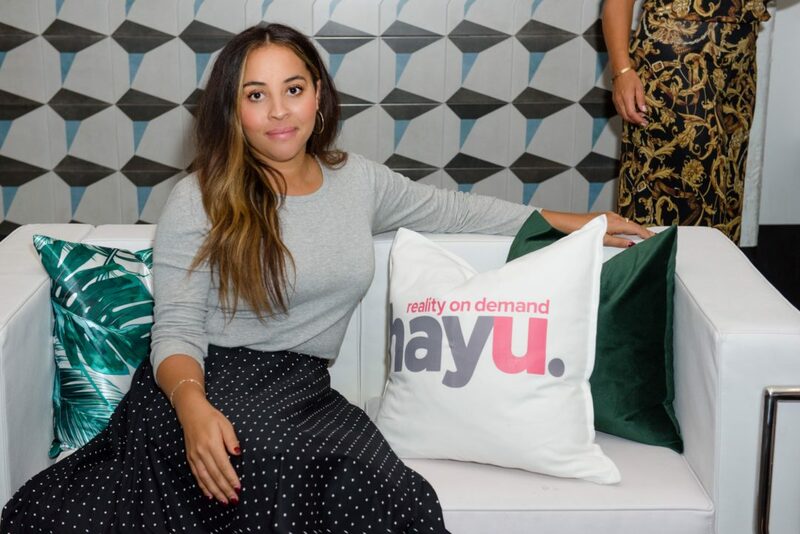 Let’s keep spreading the word, sharing the reality TV love, and be sure to get your free month of the hayu Canada app by downloading it here. *This post was in partnership with hayu Canada. All opinions are my own. Thank you as always for supporting partner content.